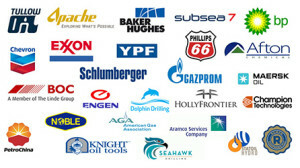 As the largest grossing industry effecting change worldwide, (top 10 global oil & gas companies ranked in $3 Trillion in 2014 alone), there is a lot to discuss and look forward to at the upcoming Best Practices for Oil & Gas conference in Houston. There is an extensive list of industry leading speakers this year, covering a wide range of hot topics; many of which review the need for implementing technologies that reduce costs and improve process efficiency. After attending the PIDX conference this past summer, it became apparent that falling oil & gas prices are putting extensive pressure on companies to do more with less, and we’re excited to continue the discussion as an exhibitor at the Best Practices conference this year. Winshuttle’s lean data management platform allows the business to implement continuous improvements for enhancing cycle times and data quality through the elimination of waste. Find out how companies like Rowan are closing the books on time, by accelerating SAP data transfers through automation, completing thousands of journal entries in a fraction of the time required by manual journal entry. 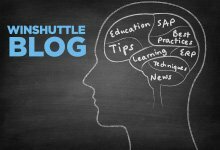 Visit the Winshuttle table at this year’s conference to learn why oil & gas customers are relying on Winshuttle to streamline SAP data operations.